I know you are my most precious, that’s clear. How could I live happily without you? Knowing that you are always by my side. And I will leave you never. What is more romantic than to say I Love You? All of us utter those words to our family, sweetheart, friends etc… as those three words are so important. We all need to love and be loved, otherwise we slowly wither away like a flower without sun or water. 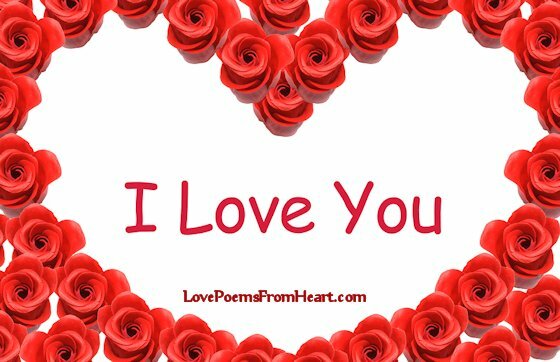 This poem expresses these words of love in heartfelt rhymes, showing the desire to say more than the regular “I Love You”. Very interesting and an exciting site.